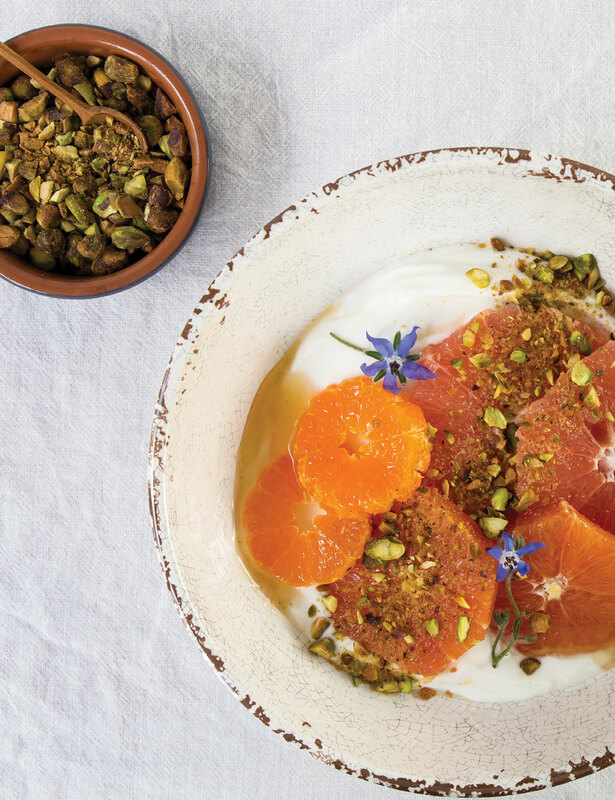 Make this yogurt bowl, and not only will you be inspired to eat breakfast daily, but you’ll also want to post it on Instagram! 1. Trim off the top and bottom of the grapefruit, orange and mandarin. Remove the skin and pith, and then use a sharp knife to slice 1⁄2-inch thick pieces. For more visual texture, trim the edges of the slices, and make the cuts angular so that it’s not perfect, round slices. 2. In a small bowl, mix the yogurt and honey (reserve some honey for garnish) until well combined. 3. Using another bowl, layer the bottom with fruit slices (save the nice ones for the topping). Add the yogurt mixture. Top with remaining citrus slices in the bowl and top with the pistachios, flax seeds, and an additional drizzle of honey. Want to switch things up? All you have to do is change your yogurt bowl toppers. You can swap out the citrus slices for seasonal berries, crunchy seeds, or even go for a decadent bowl with banana slices and PB. It’s up to you! If you want some more Insta-friendly recipe ideas, we’ve got you covered. These quickie recipes will definitely boost your Instagram game. The secret to a crowd-pleasing charcuterie board is this! Layer your smoothie bowl with this, and it will taste next level. So, yeah, this breakfast recipe involves Nutella. ‘Nuff said.